The following questions are those frequently asked by our clients. 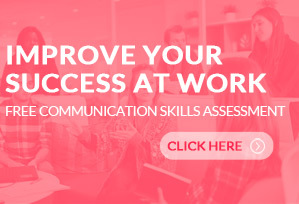 You will discover how resolving conflict in the workplace and improving your working conditions are both key elements in all of Joyce’s projects. If you have any additional questions, click here to contact Joyce directly. Our business team has been functioning well for years, but now we are merging with another company. We want to learn how to improve communication skills to insure total merger success. How can Joyce help us continue the momentum, while we create a new team with group cohesion and high morale? For a merger to be successful, Joyce has found that both sides must understand the strengths and weaknesses each team brings to the table. Sometimes this is difficult to diagnose, as many employees experience strong emotions, including fear, anxiety, retaliation in the workplace and distrust about the merging process. Joyce meets with employees from each team in order to bring all conflict issues out into the open. Her down to earth, humorous and bold style creates an environment of trust and honesty, so deep concerns can be openly discussed and resolved. Joyce can address the issues of group roles, personality development and workplace expectations through a variety of effective tools, stress reduction exercises, respect activities, and SWOT analysis examples that will fit the needs of all generations in the workplace. The result will be engaged employees who want to come to work. What kind of system does Joyce use when facilitating? Discovering key issues is done through one-on-one phone conversations between Joyce and employees who work in various areas of the company. Acknowledging all emotionally charged concerns in a non-judgmental forum. Resolving the issues by providing brainstorming sessions and effective tools that will enable employees to feel empowered long after the presentation is over…Reducing conflict in the workplace and improving the working condition. Maintaining the forward momentum begins with the executive debriefing session and continues with follow-up calls throughout the training project. This additional support reassures Joyce that her programs are making your project a success. Does the program order matter? Yes. Joyce’s experience has shown that there are four critical areas that must be accomplished in a business to maintain growth and profitability. Improving Communication Skills: Conflict negotiation is essential for increased productivity, effective problem solving, and cost effective processes. Without it, the work place can become emotionally charged. Personnel issues dominate over business goals. 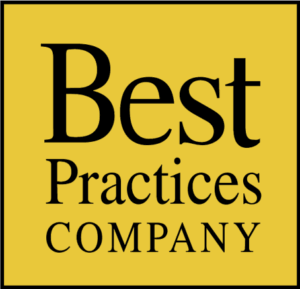 Joyce’s Be Direct With Respect ® strategy revitalizes communication. It provides team activity and effective tools to maintain an open and productive work environment. Team Work: Building good teams is what separates businesses from industry leaders. Individuals with strong communication skills can be trained to effectively utilize a group’s strengths and compensate for its limitations. Team Synergy will help your business produce more powerful, energetic, and innovative teams that can take your business to a new level. The result will be engaged employees who want to improve work morale. Life Prioritization: Confident individuals and powerful teams may still have personal issues that can create stress and affect productivity. Understanding how to set boundaries between your personal and professional life is an important aspect of this presentation. Take the Ride of Your Life is a powerful and enlightening program, which will help reduce personal stress and improve office morale in the work environment. You will learn new facts about stress. Implement How to Marketing Plans: Put it all together to create Bold Solutions to Boost the Bottom Line. Now that people are communicating with respect and the teams are in place, it is time to utilize everyone’s creative innovative ideas on how to increase business revenue. 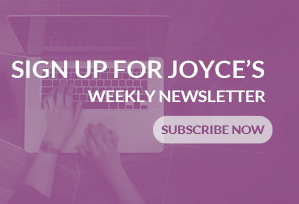 Take advantage of the brainstorming techniques that Joyce has learned from successful companies to expand your social business networking and client base that will positively affect your bottom line. Discuss the importance of sharing objectives and costs to experience growth especially during challenging times. Is personalized coaching and development available for individuals who may need additional assistance? Yes. Private coaching is an option used by clients to insure a united team. Sometimes, following a training program, individuals have trouble maintaining the new process. This is usually due to personal issues not directly connected with work. A personalized coaching plan can be arranged to help get a team member back on track. Joyce gets down to basic dynamics of leadership, employee engagement, and real connection through her coaching services. Her client’s spectrum spans from an on line 30 day program – Communication Skills at Work – to the 90 day one on one coaching initiative. The results are powerful, consistent, and transferable. Joyce’s career coaching sessions are conducted over the phone for your convenience to save you time and money. What happens once we hire Joyce? The personalization starts immediately! Joyce begins with a pre-program survey, which provides information about your project’s specific goals and expectations. A list of employee names will be requested for brief phone interviews. This provides a “snap shot” of the strengths and weaknesses of the team and company. If necessary, additional tools and SWOT examples analysis will be utilized to get a clearer profile of your team. Based on the information compiled and the company’s goals, a customized program is designed. Before each program, Joyce discusses her plan of action with leadership, to make sure expectations are met. After every presentation, an executive debriefing is provided. What is the Executive Debriefing? Upon completion of a program, Joyce personally shares her findings with executives or the CEO. Business leaders have repeatedly expressed the added value this feedback has provided them for planning future goals. Why is hiring a Certified Speaking Professional (CSP) so important? The CSP is the highest ranking a speaker can earn from the National Speakers Association (NSA) and the International Federation for Professional Speakers (IFFPS). The CSP is an International Designation. Joyce is one of only 215 women IN THE WORLD who has earned the Certified Speaking Professional Credential. CSPs must document a proven track record of continuing speaking experience and expertise as well as a commitment to ongoing education, outstanding client service and ethical behavior. A CSP is an insurance policy for the meeting planner’s success. Hiring a CSP will make a meeting planner’s job easier. Speakers who earn the CSP designation give their audiences a proven track record of continuing speaking experience and topic expertise and know how to deliver client satisfaction. A CSP provides a solid place from which to begin your search. How can our employees reinforce the skills learned in the training sessions after the program? Joyce created a premier online course to help her clients reinforce the skills they just learned in the sessions. It is also designed for people who were not able to participate in her training. Communicate with Impact™ is a 4 week program that participants take online to fit their individual schedules. It helps them learn how to take control of their time and hold their own with bullies and pushy people. 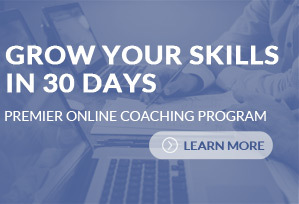 Students have unlimited email coaching for 2 months with Joyce, receive video tutorials and short written assignments. They receive the Communicate with Impact Program Workbook and an online assessment tool. They actually resolve communication issues with Joyce during the class. It is individualized to meet the students’ specific needs. Click here for more details.